This book is expensive, really expensive, you can buy it new on Amazon UK for £133.35 ($159.20 Amzon.com = £109.40) and comes with a DVD which is a lot of money to gamble on a book so I decided to post the link to the torrent for the .chm edition of the book (DVD not included). If you like it and think it's worth it then make sure you buy it. Manage any medical emergency you encounter in the great outdoors! Every day, more and more people are venturing into the wilderness and extreme environments...and many are unprepared for the dangers that come with these adventures. 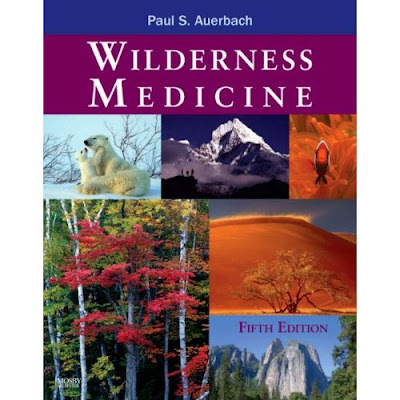 Whether these victims are stranded on mountain tops, lost in the desert, trapped deep in the woods, or injured far out at sea, this indispensable resource equips rescuers and health care professionals to diagnose and treat the full range of emergencies and health problems encountered in the wilderness! I wish I could get someone to seed this... It's been days off and on and I still haven't finished it, drats! Thanks! I finally did get it down but am not having any luck on viewing the .chm file format. I have tried a few apps but to no avail... What are you using to view it? I still can't get this shite to work, any advice would be appreciated. Yeah, I figured that much, haha. When I tried to open the .chm file in IE or FF, it would load and I could see the menu but no content, I may have to DL it once again! Thanks anyways! Let me know if it works or not and i'll sort something out for you. How did you managed to open this in your browser? I tried dragging and dropping into FF but i only get a message asking me where i want to save it to. I did it by going to the file menu of FF, choose File>Open CHM Files. I'll take you up on getting the file from you, if that's okay. You can email me the FTP info at cykovisuals at gmail dot com, it would be much easier, quicker and much appreciated. I can upload some good stuff to my server as well if you would like. Do you use any instant messenger apps? I use Google Gtalk for the most part but also have MSN, Y!, ICQ and AIM accounts as well. My Gtalk UID is "cykovisuals"